In the end, the FDA took little more than six weeks to give final approval to Kymriah, the first ever CAR-T treatment. The US regulators’ advisors recommended the drug last month, and now the agency has itself backed the drug for use in patients, an historic advance in treating patients with acute lymphoblastic leukemia (ALL), which is set to be the first of many haematological cancers to be targeted. Kymriah (tisagenlecleucel, known as CTL019 until now) is the first chimeric antigen receptor T cell (CAR-T) therapy, and will now be available for patients up to 25 years of age with B-cell precursor acute lymphoblastic leukemia (ALL) that is refractory or in second or later relapse. The novel immunocellular therapy is an historic first because it is the first gene transfer treatment approved by the FDA, and uses a patient’s own T cells to fight cancer. The Swiss pharma giant has beaten its closest rival, Kite Pharma, to the market, though its CAR-T treatment is not far behind, looking set for approval in November. Novartis has already declared that a one-time treatment of the drug will cost $475,000 – within the range predicted by analysts, but much lower than the $1 million forecasts made initially. This price reflects that for some patients, the treatment will be seen only as a bridge to transplantation, and therefore only a part of the overall treatment cost. The promise of the CAR-Ts is enormous for patients with relapsed or refractory ALL, who otherwise face a death sentence after all other therapies have failed. 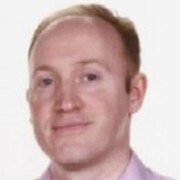 A pivotal clinical trial of Kymriah in 63 paediatric and young adult patients with the condition found overall remission – a complete absence of the disease – in 83% of patients within three months of treatment. If this response proves durable, at least for some patients, it could represent a cure. Novartis has triumphed in being the first company to bring a CAR-T to market, thanks to its work with immunologist Carl June, one of the earliest pioneers of the technology at the University of Pennsylvania Perelman School of Medicine. 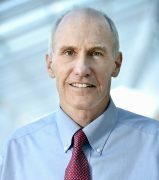 “This therapy is a significant step forward in individualised cancer treatment that may have a tremendous impact on patients’ lives,” said Carl June, MD, the Richard W. Vague Professor of Immunotherapy, Director of the Center for Cellular Immunotherapies in Penn’s Perelman School of Medicine. The FDA Commissioner, Scott Gottlieb, also took the rare step of commenting on a new approval himself. “We’re entering a new frontier in medical innovation with the ability to reprogram a patient’s own cells to attack a deadly cancer,” said Gottlieb. Like other CAR-T treatments in development, Kymriah does carry significant safety risks. The greatest of these is cytokine release syndrome (CRS), an immune system firestorm which has proven fatal in some CAR-T trials. In the study, 49% of patients treated with Kymriah experienced grade 3 or 4 CRS, however there were no incidents of the cerebral oedema seen in trials of other CAR-T candidates from Kite Pharma and Juno. The FDA has approved a Risk Evaluation and Mitigation Strategy (REMS), to inform patients and doctors about the risks and monitor safety. The arrival of CAR-Ts and other gene and cell therapies will also mean that specialist treatment centres will have to be established to administer the drugs. Novartis is also establishing a network of certified treatment centres throughout the country which will be fully trained on the use of Kymriah and appropriate patient care. The timing of the approval is remarkable, coming just two days after Gilead announced it is buying Novartis’ close CAR-T rival, Kite Pharma for $12 billion. Analysts will watch closely for how Gilead/Kite will price its rival Axi-cel once it gains approval. Currently under priority review by the FDA, its decision date is 29 November, but a ruling could come earlier as it has with Novartis. 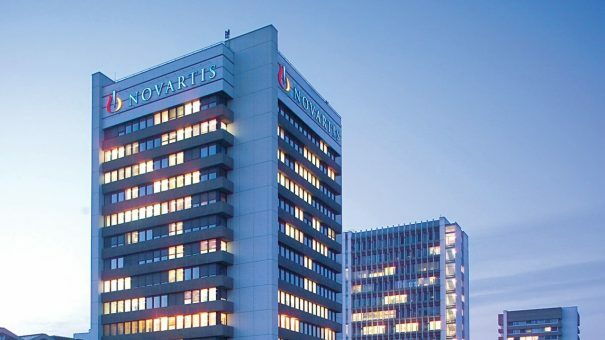 Novartis says it intends to launch a variety of US patient access programmes to support access for patients, including the standard measures to help patients navigate insurance coverage and providing financial assistance for the uninsured or underinsured. The company plans additional filings for Kymriah in the US and EU later this year, including applications with the FDA and EMA, for the treatment of adult patients with r/r diffuse large B-cell lymphoma (DLBCL). Additional filings beyond the US and EU are anticipated in 2018. Novartis has also announced a novel collaboration with the United States Centers for Medicare and Medicaid Services (CMS) centred around indication-based pricing and outcomes-based payment. The indication-based pricing could be particularly important for uptake of Kymriah as it expands its licensed indications; its effects may be much less compelling in other diseases, necessitating a lower price for these patients.